All I think about is discovering new cafés in foreign cities. When I go on holiday I always track down Instagram to see what is hot and what is not. With all this going on I kind of forget that Amsterdam, the city that is right around the corner, also has many exciting food spots. Including my newest discovery: Lavinia Good Food. Now this café has been on my list for ages. I have the tendency to go to the same places, check my top 5 brunch spots in Amsterdam for that, and when I was going to meet up with one of my friends we decided that new must be better, so instead of popping into Metropolitain -my favourite brunch place- we sat down on the comfy couch at Lavinia. They have two spots in Amsterdam and I went to the café on the Kerkstraat, which is close to all the shopping streets and the flower market. I love the atmosphere at Lavinia. It's very chill, homey and perfect for catching up with friends or working on your uni work. It's a healthy café, so perfect for everyone's dietary requirements. Cactus plants and art work decorates the walls and right in the middle you find a huge table full of yummy cakes and cookies. There were a few empty tables, but the couch was empty too, and I think a couch is the most amazing spot for catching up and drinking tea. We both ordered a smoothie bowl and a slice of cake. I went for the banana cake and my friend picked a vegan brownie. Everything was really delicious and instagrammable. We got the food quick too, which is a bonus for me. Especially when I'm in a hangry mood I want to dig in as fast as possible. Since it is healthy and stuff some items on the menu are a bit overpriced, but that’s just the charm of eating vegan and gluten-free I guess. Would I recommend this place? Yes! I think it's very cute, they have a good range of healthy foods and their couch is super comfy. Want to read more about hotspots in Amsterdam? Click here! 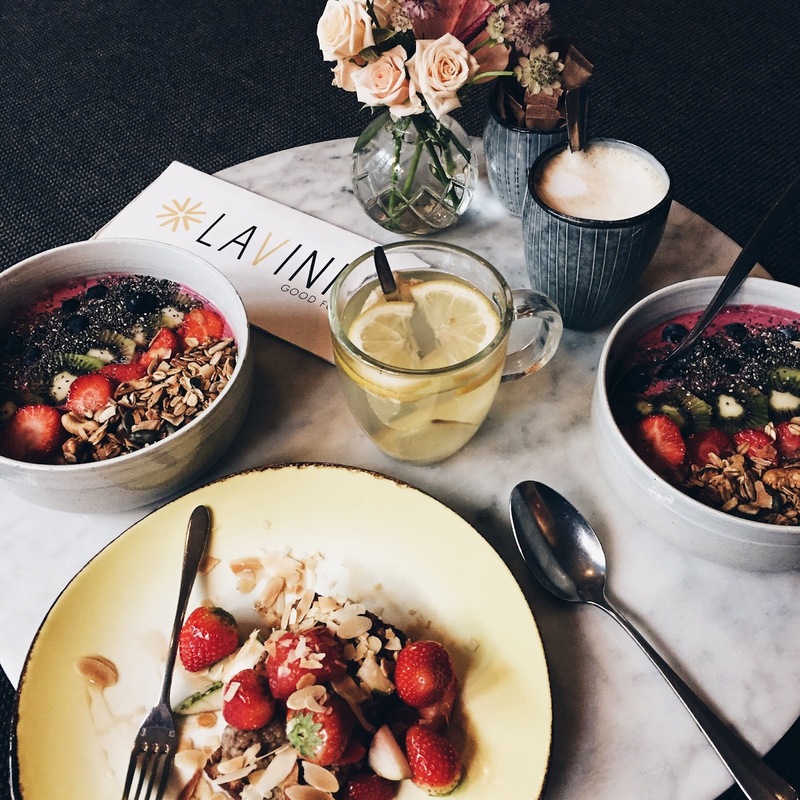 Have you ever been to Lavinia Good Food? No I haven't been, but it's sounds goood!!! Thanks for sharing! I love the gorgeous picture you added of the food. However, I would have loved had you added a picture of the interior as well. As I am always checking interiors before trying a new place. Good article though.